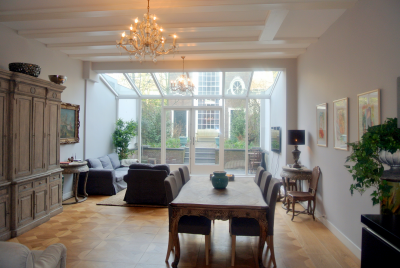 The ultimate romantic hideaway in Amsterdam, with perfectly secluded private garden and garden house (5 persons). The Garden Suite measures 85 square meters in the main house, with a private and sunny garden of 70 square meters attached. Two-bedroom apartment with exceptional Canal View (2 adults plus children). This elegant apartment is styled back to its old glory and offers a beautiful canal view from an exceptional large living room with fully equipped and state-of-the-art design kitchen. 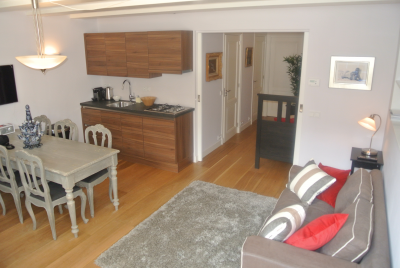 One-bedroom apartment with exceptional Canal View which measures 60 square meters (2 persons). 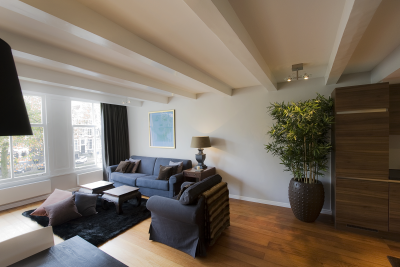 This apartment offers a beautiful canal view from a comfortable living room with fully equipped and friendly kitchen. 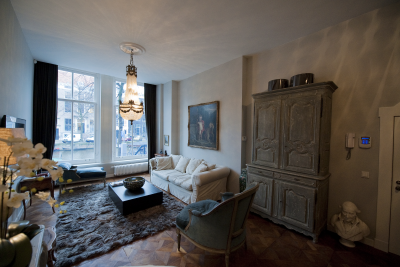 This lovely studio measures 40 square meters and is situated in the base on the frontside of the building. You will enjoy a living with flatscreen TV and small kitchen (no oven).